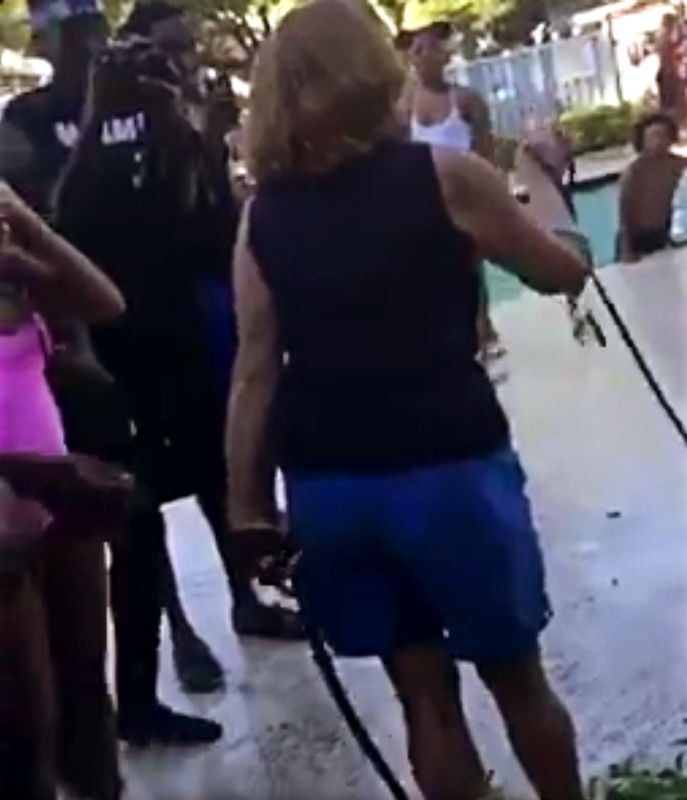 A brutal video has been uploaded online showing the disgusting treatment of an older woman who was complaining about noise. 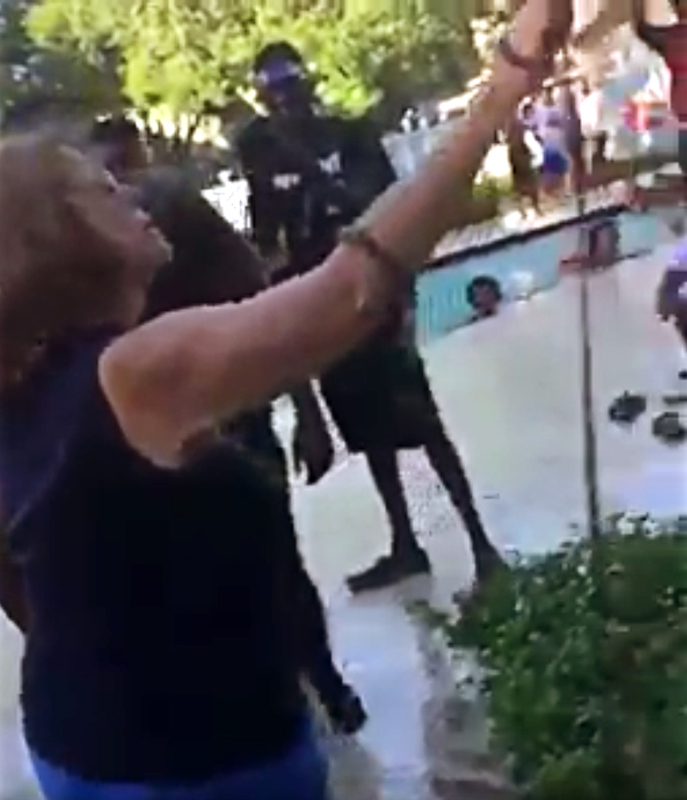 The woman was complaining about the noise at a south Florida High School pool party. The party was being held by a group of promoters called the Block Boyz at a teenager’s residence just outside of Miami. The lady enters the back garden with her two small dogs on leads remonstrating with the large group of teenagers. Suddenly a man in a red t-shirt picks up the lady and slips up dropping her onto her head. MediaTakeOut.com reported that the lady suffered serious head trauma. 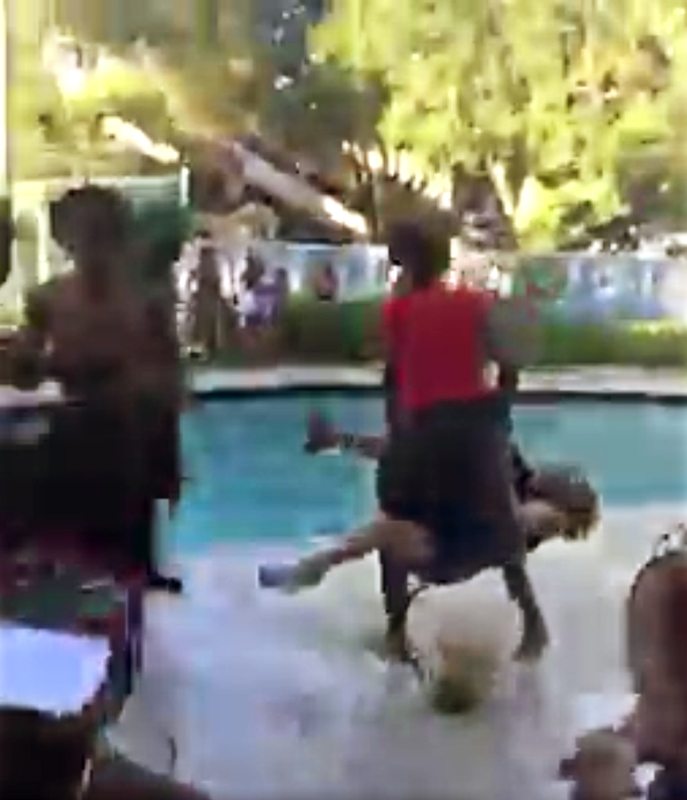 The man in the red t-shirt stands up and drags the woman to the pool and throws her in – falling in himself. MediaTakeOut.com also confirmed that the woman was later rushed to the hospital and is currently in stable condition. Police are still investigating the shocking incident.